Spongebob Squarepants is an American animated television series created by marine science educator and animator Stephen Hillenburg for Nickelodeon. 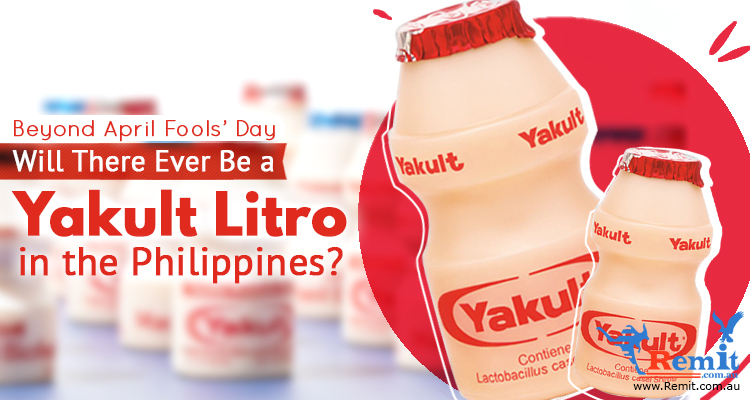 It was officially premiered on July 17, 1999, and became a hit in its second season. 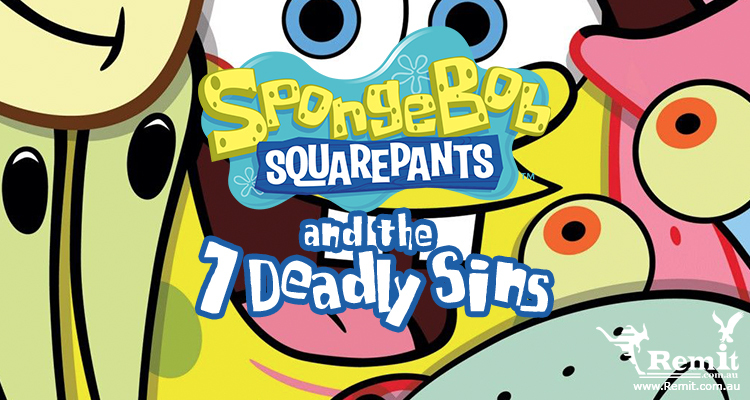 The series is all about the adventure of a jolly square sponge and his friends in the fictional underwater city, Bikini bottom. 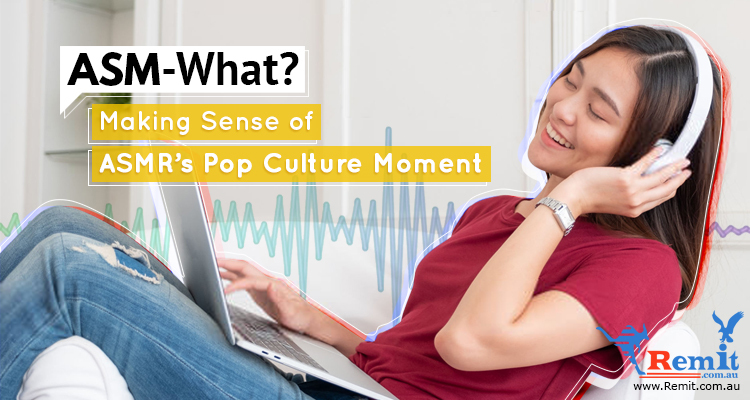 Obviously, the show’s target audience is children but because of their hilarious scenes and hidden adult jokes, it was also watched by many grown-ups. And since the internet is full of people with powerful imaginations, there was a fan theory that the main characters of the show represent the seven deadly sins. Sheldon J. Plankton is a green planktonic copepod who is Mr. Krabs’ business rival. He runs an unsuccessful restaurant called the ‘Chum Bucket’ with his computer wife, Karen. His main goal is to steal the secret formula of the famous ‘Krabby Patty’ so his business can be successful as the ‘Krusty Krabs’. 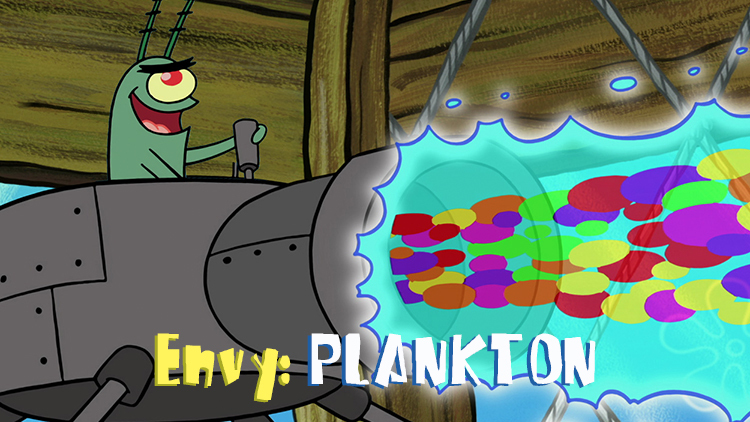 In one episode, Plankton finally found a way to switch lives with Mr. Krabs and show how envious he was to his archenemy. 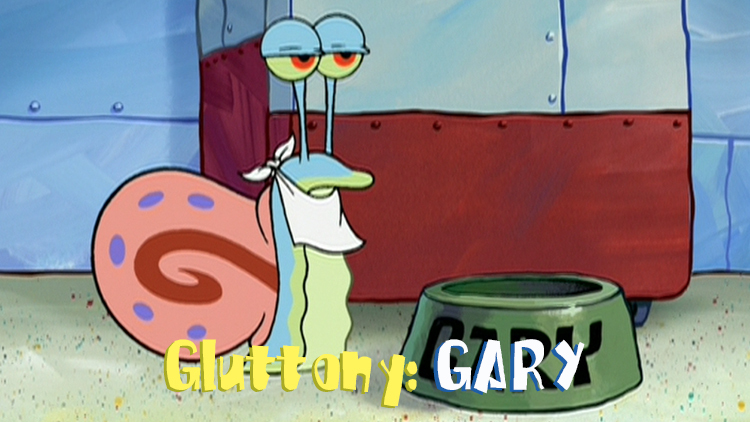 Gary the snail aka Gary Wilson Jr. is the sea snail pet of SpongeBob SquarePants. He is a domesticated house pet with similar mannerisms to a cat, most notably his “meow”. If you’ve watched some few episodes, you will notice that Gary is always hungry and always meow-ing to Spongebob to fill his bowl. Eugene H. Krabs is known to be extremely obsessed with money. He is the owner of the Krusty Krab, home of the Krabby Patty. 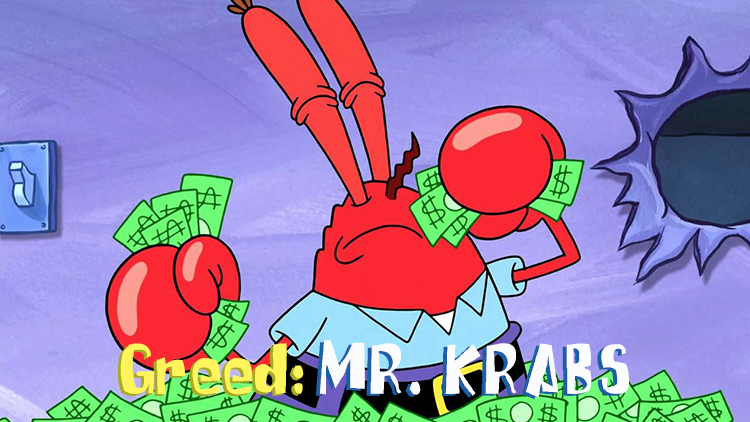 When it comes to money, Mr. Krabs is a cheapskate. He loves money so much that he even married one. Yup, Mr. Krabs fell in love and married a small lady made of dollar bills named Cashina. Unfortunately, Cashina was actually a robot piloted by Plankton who intends to scam Mr. Krabs into giving him the secret formula. Spongebob Squarepants is a childish, joyful, eccentric sea sponge who lives in a pineapple. As the main character, you might have noticed that Spongebob has a strong desire to make everything perfect. Whether it’s about his job, friends, driving school, and jelly fishing he wants to make everything faultless. He lusts for life and loves the affection from both friends and foes, often stopping at nothing to finish a task. Do I have to explain why? 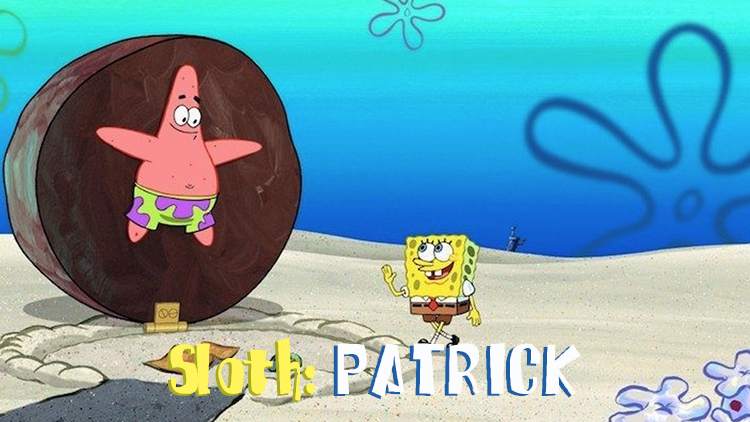 Patrik Star is a naïve and overweight pink sea star and the best friend of Spongebob Squarepants. In an episode entitled, “Big Pink Loser”, Patrick was given the award of “doing absolutely nothing longer than anyone else.” And I believe that explains everything. Next! 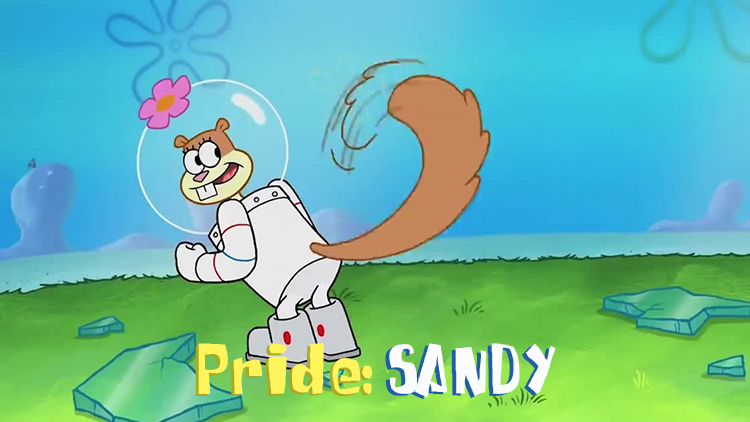 Sandra Jennifer Sandy Cheeks is a squirrel from Texas who is proud of her heritage. She truly takes pride in the fact that she’s the only land animal that lives in Bikini Bottom. 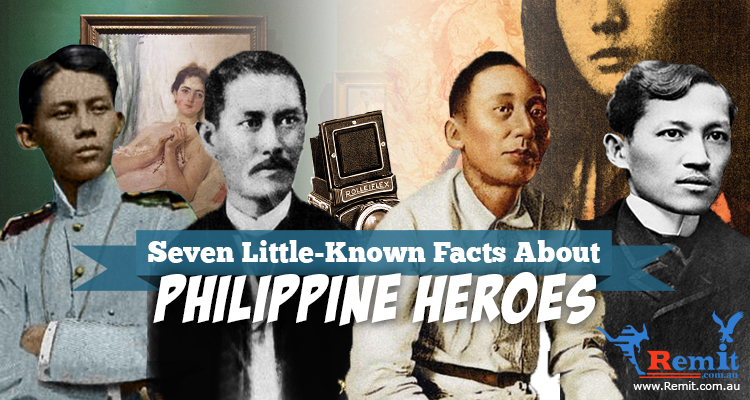 She is also known for her notable knowledge of karate and science. 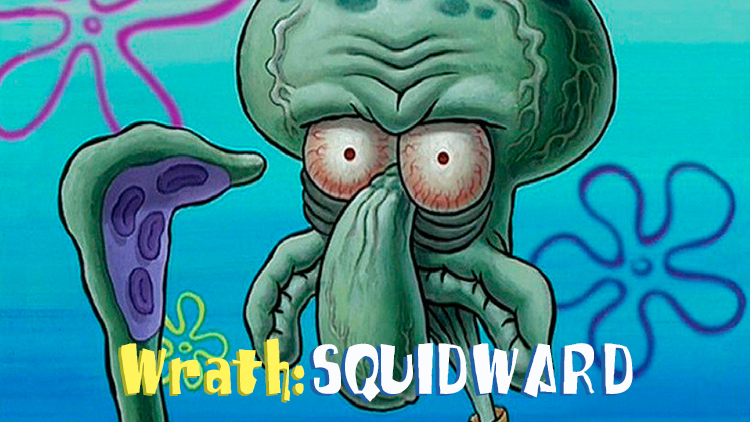 Squidward Tentacles is known for almost hating everything except for himself. He hates his job, his neighbors; Spongebob and Patrick, and his baldness. He has 492 self-portraits in his house and is delusional about his talents, such as playing the clarinet, though almost everyone considers him to be very terrible. 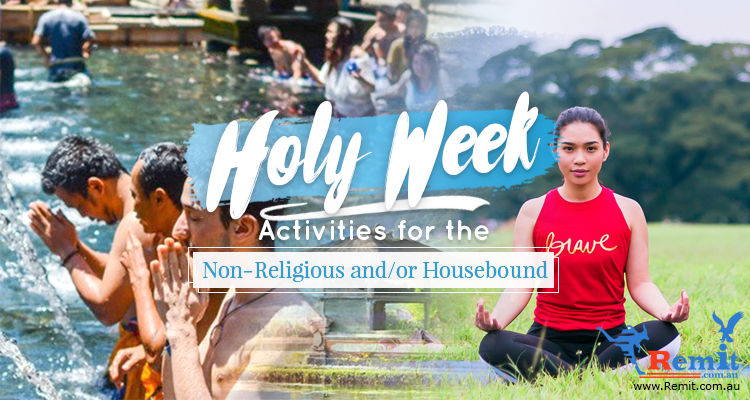 Bonus Fact: Historically, there were eight deadly sins but Pope Gregory viewed it as a form of pride, so he folded “vainglory” into pride for his listing of sins. 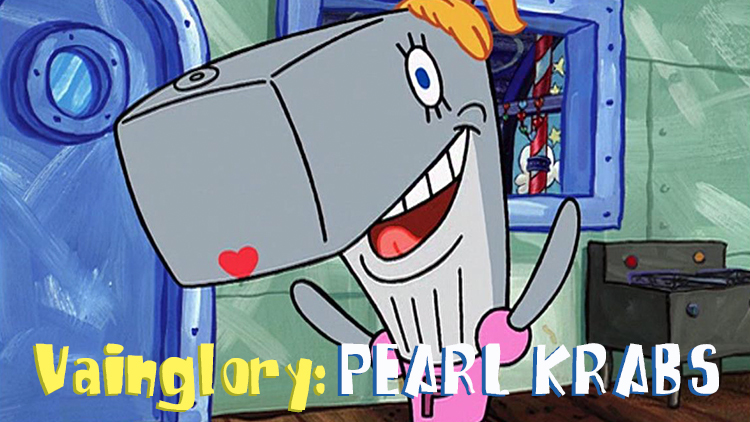 Pearl Krabs is a whale who lives in a hollow anchor with her father Mr. Krabs. If you’re a fan of the show, you will notice that she wanted to be pretty and popular. 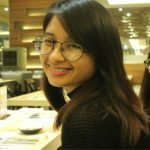 She is a vain and materialistic teen who wants to impress all of her friends with the help of his rich but cheapskate father.